Dartmouth College has appointed an interim president, a day after President Jim Yong Kim’s election to lead the World Bank. The Dartmouth Board of Trustees Tuesday named Provost Carol Folt as the interim president of the College. Folt will begin July 1. Kim will remain Dartmouth’s president until then, leading Dartmouth through the conclusion of the academic year and Commencement. 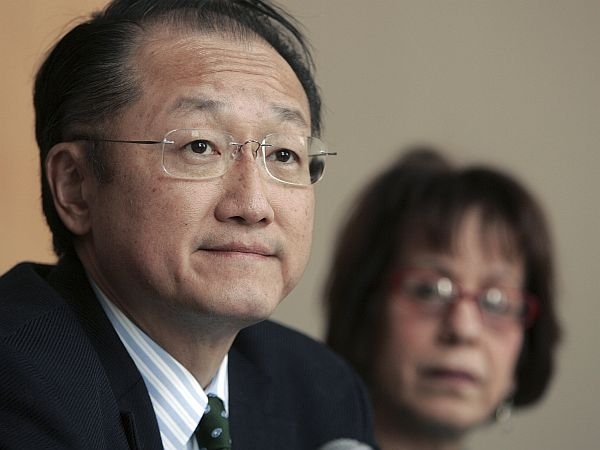 In a statement released Tuesday morning Board Chair Steve Mandel said, "The Trustees congratulate President Kim on the tremendous honor of being chosen as president of the World Bank, one of the most critical institutions fighting poverty in the world. We have immense respect for Jim as a leader and human being, and are proud of his contributions at Dartmouth and in the world." A biologist by training, Folt has been second in command in academics at Dartmouth, at a time of painful re-structuring. She said cutting costs by about $100 million has put the College in a strong position to plan for a secure future. Her twin goals for the year, she said, are continuity and momentum. "We need to see that momentum continue through the strategic planning process with the new faculty and students we bring in, so that at the end of this year – if we have seen a completion of the strategic plan – we’ve seen real momentum growing around the initiatives that are already in place," Folt told VPR Tuesday afternoon. Folt is not a candidate for the presidency. The Board of Directors is expected to name a chair for the search committee later this week. VPR’s Charlotte Albright contributed to this report.